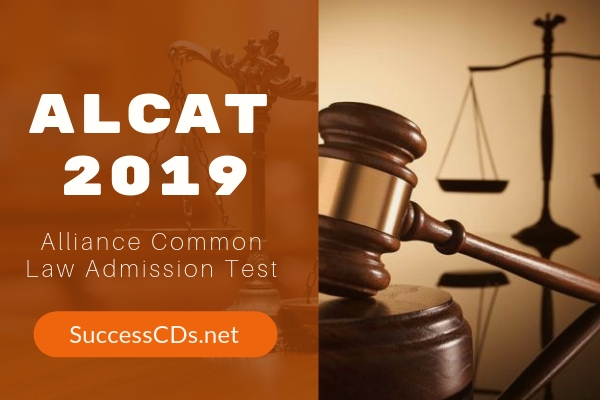 The notification for Alliance University ALCAT 2019 Alliance Common Law Admission Test has been announced. For BA LLB/BBA LLB Programs: Candidate should have passed 10+2 or equivalent examination from a recognized board with a minimum of 45% marks in aggregate (40% marks for SC/ST candidates). For LL.M Program: Candidate should have a bachelor’s degree in LLB /B.L or any other graduate degree in law recognized by bar council of India (BCI) with a minimum of 45% marks in aggregate (40% in case of candidate belonging to reserved category). For PhD Program: Candidate should have a master’s degree in LL.M (any branch) with a minimum of 55% (50% for SC/ST) in aggregate from a recognized university. For General Category - 20 years. For SC / ST and Backward Communities - 22 years. The application form and prospectus for all program except PhD Program can be obtained from the Office of Admissions on Payment of Rs.1000/- (Rs.2000/- for NRI and SAARC National applicants and US$50 for other foreign national applicants) in cash or through Demand Draft drawn in favour of "Alliance University" payable at Bengaluru. The Application Form is available at the Office of Admissions on payment of Rs.3000/- (US$100 for other foreign national applicants) in cash or through Demand Draft drawn in favour of "Alliance University" payable at Bengaluru.